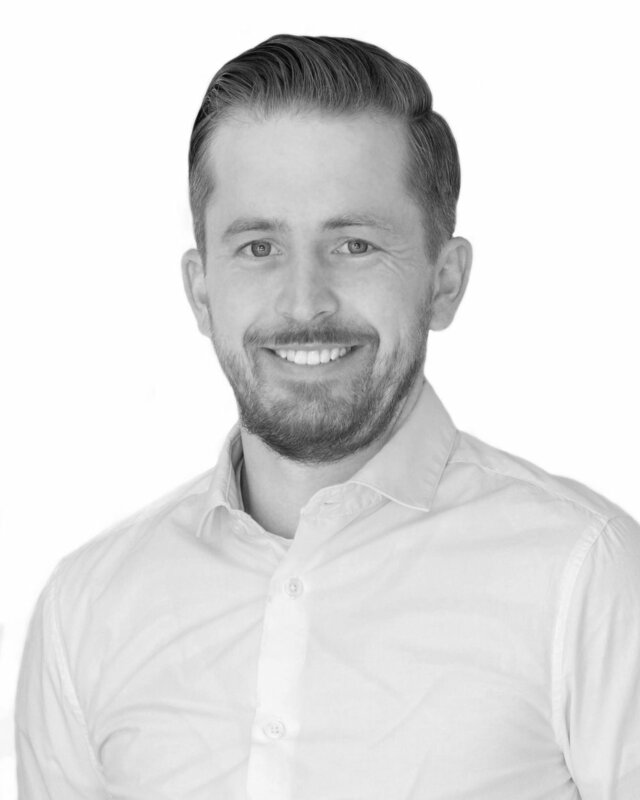 Jesse is the Director of Projects for UGE Canada with experience in both development and construction of utility scale renewable energy projects. At UGE, his focus is primarily on managing the construction of ground mount solar projects. 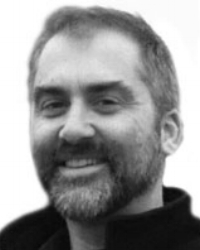 Jesse brings a breadth of experience in the North American renewable industry. Prior to joining UGE, he served as a project manager at Recurrent Energy. In this role he was involved in the construction of utility sized ground mount solar projects in both Canada and the USA ranging in size from 3MW to 280MW, with a variety of utilities and off takers. At the onset of the Green Energy Act in Ontario, he held a position with the former Ontario Power Authority (currently IESO) as a contract analyst managing power purchase agreements under the Feed-in-Tariff program for a variety of renewable energy projects, representing over two gigawatts of proposed power capacity. Jesse holds a Mechanical Engineering degree, with honors, from the University of Windsor and is a certified Project Management Professional (PMP). Arjun is the Director of Projects for UGE Philippines with experience in both engineering and construction of solar PV projects. At UGE he is primarily focused on managing the construction of rooftop solar PV projects in the Philippines. Arjun is a NABCEP Certified PV Installation Professional. He completed his Master's Degree in Sustainable Energy Technologies from KTH Stockholm. During his Masters, his research was focused on the Deployment of Microgrids in different electricity markers using Distributed Energy Technologies. He received his Bachelors degree in Mechanical and Energy Engineering from VIT Vellore, India. He has also worked in India as a Technical Coordinator for a startup designing and installing solar photovoltaic systems and microgrids for off-grid rural villages. Andrew is a Project Manager at UGE, he joined the team in 2017 during UGE's acquisition of the Carmanah Solar Power Corp (CSPC) business and team. In the past two years he has managed dozens of roof top solar projects for some of the industry’s leading clients. Prior to joining CSPC, Andrew was the Feasibility and Design Manager at RESCo Energy. Andrew is an Engineering Technologist and a graduate of St. Lawrence’s Energy Systems Engineering Technology program. During his time at St. Lawrence College Andrew worked on several NSERC/privately funded renewable energy research projects at the Sustainable Energy Applied Research Center. 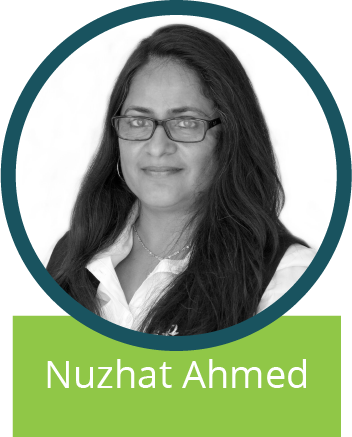 Nuzhat has over 18 years of diversified industry experience that includes managing a large portfolio of grid-tied residential solar projects across the province of Ontario. She began her career in the EMS sector that evolved into leading positions including project engineer and project manager in building security and solar industries. She has extensive experience delivering turn key projects while managing large teams of project administrators, coordinators, service technicians and contractors. In her role as a project manager at UGE, Nuzhat has been heavily involved in project closeouts as well as management of new projects. She fosters an environment of teamwork and ensures that quality is a clear focus for all. Obtaining project success with high level of client satisfaction is one of her main goals that ties well into the UGE philosophy. Nuzhat holds a Bachelor’s degree in Physics and a research based Master’s degree in Engineering Physics from McMaster University. Husam is a member of the project management team, focusing on the management of utility-scale ground-mount and commercial scale rooftop solar PV projects. Husam joined UGE in 2013 after receiving his Masters of Engineering Degree (M.Eng) in Energy Systems from the University of Toronto. Prior to entering the M.Eng program, Husam completed his undergraduate studies in Electrical Engineering from the Department of Electrical & Computer Engineering at the University of Waterloo. While completing his M.Eng at the University of Toronto, Husam gained extensive experience in research and development within solar PV applications. Most notably, Husam led the design, build, and troubleshooting of a state-of-the-art micro-inverter for the application of creating a micro-grid, with a short-term storage solution, using Solar PV as the only source of generation. Prior to his M.Eng, Husam held various co-op positions, with a multitude of companies, while studying at the University of Waterloo. In 2011, Husam worked with Suncor Energy as an Electrical Engineering Assistant. In this role he was part of the electrical engineering site maintenance team, aiding in root cause analysis of industrial equipment failures, providing value-engineered recommendations and solutions. 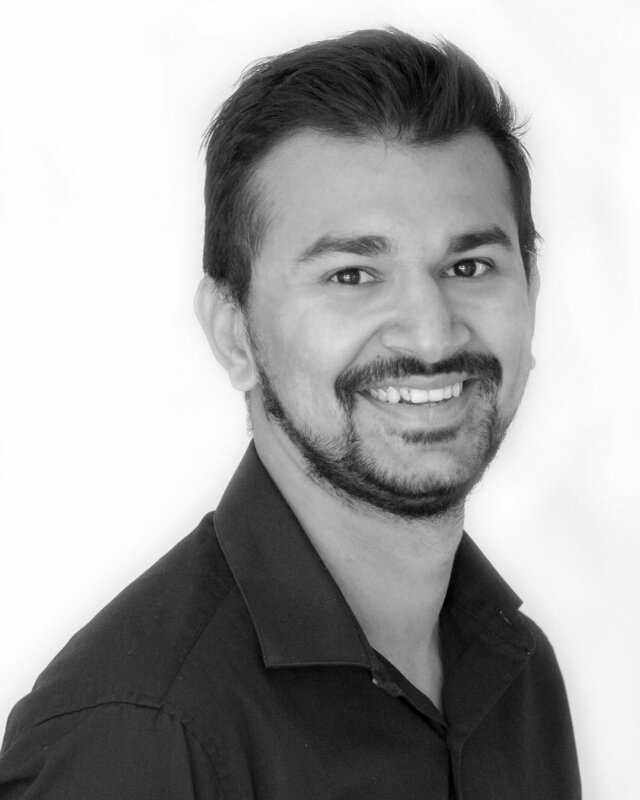 Husam has also gained electrical design experience from working as Junior Electrical Engineer at MCW Consultants, a fully integrated mechanical and electrical consulting engineering services company. As a member of the Project Management Team, Jacob supervises and is responsible for the implementation of rooftop and ground mount solar EPC projects. Before joining UGE, he was the Technical Project Manager at Light Up the World (LUTW) where he managed micro-solar rural electrification projects in the Peruvian and Guatemalan highlands. Before LUTW, at Fraunhofer Center for Sustainable Energy Systems in Boston MA, Jacob analysed and validated novel solar module components for large industrial clients. Jacob has a Bachelor’s degree in Chemical Engineering from Tufts University and holds a Masters of Engineering in Clean Energy Engineering from the University of British Columbia. For his thesis he investigated the feasibility of renewable and fossil fuel hybrid micro-grids in remote Peruvian Amazon communities. Gabriela is a member of the project management team at UGE and is responsible for ensuring that project initiatives and goals are carried out on time and without issues. She has over 4 years of experience in international PV and microgrid development. She has participated in the development of projects in 6 different countries, USA, Germany, Brazil, Panama, Philippines and Japan. Gabriela became interested in renewable energy through participation in a microgrid project at University, where she first was introduced into PV, wind, and energy storage systems. Her professional experience includes Allianz Global Investors Renewable Equity group as investment strategy analyst, Urban Green Energy as an Design Engineer, and Photon Consulting as a project management engineer at in Japan. She holds a degree in industrial and mechanical engineering from Columbia University. Matthew is an experienced Project Manager at UGE bringing 8 years of solar experience to the table. He first joined UGE in 2017 during the acquisition of the Carmanah Solar Power Corp (CSPC) business and team. Recently, he managed the successful installation of Canada’s largest solar carport and is currently managing 2 other carport projects. Prior to joining CSPC, Matthew was a Construction Foreman at RESCo Energy, and the Field Operations Manager for SolarCity. Matthew holds an Honours Bachelor of Environmental Policy and Management degree from York University, as well as a Project Management Certificate from the University of Toronto. Louie is a Project Manager for UGE Philippines with previous experience managing the project development and construction of a large scale solar farm. Prior to joining UGE, he was involved in the development of a 60MW Solar Farm in Visayas, Philippines. He has been working in the solar industry since 2013. At UGE, his focus is primarily to oversee the construction of rooftop solar projects from execution to completion, ensuring the quality of work of any sub-contractors meets the standards of UGE. He ensures all project timelines and milestones are met and maintained as per client expectations. Louie holds a Bachelors of Science in Electrical Engineering and is a licensed Electrical Engineer in the Philippines. He is currently working on his PMP Certification and planning to continue his Master’s in Business Administration. Cody is a Construction Manager for UGE, focusing on field management and execution of commercial rooftop as well as utility-scale ground mount solar PV projects. Cody joined UGE in 2017, with over 3 years of experience in the solar PV industry, coming from Carmanah and Resco. While at Carmanah, Cody focused on coordinating construction and close-out of a 37 project portfolio of solar PV rooftops. Prior to joining Carmanah, Cody gained experience as a project foreman at Resco, a turn-key solar integrator delivering commercial solar PV systems. Cody graduated from the University of Ontario Institue of Technology with a Bachelors in Mechatronics Engineering, where his passion for renewable energy systems began. Mike serves as a construction site manager positioned in Minnesota for several rooftop PV projects. Mike is responsible for overseeing projects through the installation process and ensuring each project is delivered on schedule, on budget, and meets customer expectations. Mike joined UGE in January 2017 and has worked across departments to manage communication between clients, subcontractors, and external project teams. Prior to joining UGE Mike was involved in the wind industry operating 1,300 MW’s of energy at Acciona. Mike Graduated from Illinois State University (ISU) with a Bachelor’s of Science in Renewable Energy. While attending ISU Mike also spent his spare time building and racing solar powered vehicles.